Getting risk management right should be the top of the priorities list for event organisers everywhere. Promoting good hygiene is not only vital for event safety, but also the reputation of the event itself. That’s why Teal will be bringing its range of world leading mobile and portable hand washing units to the Showman’s Show 2018. Visitors will be able to talk to Teal Patents to discover how Teal are helping to improve hygiene standards in a wide range of outdoor events, irrespective of how remote the location may be. 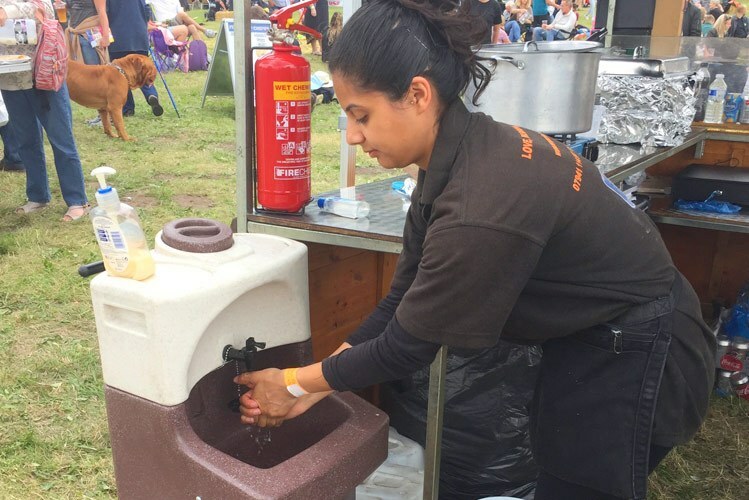 Fully backed by the Nationwide Caterers Association (NCASS), Teal Patents can also help food vendors who don’t have access to a mains water supply to meet rigorous food and hygiene regulations. With legislation stating that caterers must provide a separate washing facility that runs hot and cold, it’s no longer acceptable to supply alcohol gel and wipes. Instead Teal can provide a complete washing facility without the need for tankered water. To see the full range for yourself and to discuss you event hygiene needs, don’t hesitate to visit the Teal Patents stand in the Exhibition Hall at this year’s Showman’s Show.